Social media doesn’t have to be all cute cat videos or television spoilers. Social media can also be used for social good! The real power of social media comes through engaging a wide audience. What better way to do that than with a nonprofit fundraising campaign that people can feel good about? Research shows that the public is very open to fundraising initiatives conducted through social media. The Millennial Impact Report of 2012, a research project of Achieve and Johnson Grossnickle & Associates, shows 55% of people in the survey prefer social media as a way to learn about nonprofits. In fact, 92% have “Liked” nonprofit pages on Facebook. It’s important to think through the fundamental elements of the social media fundraising campaign before diving into social media. What are your goals? Who is your target audience? Learn where your donors, advocates, and volunteers are and what social media platforms they prefer. Start the conversation there, rather than trying to be everywhere at once. Each social media channel is unique, so posts should be written to fit each specific audience. Don’t apply a “cut and paste” approach over different platforms. Instead, customize each post to fit the channel. For example, Twitter has a limit of 140 characters per post so brevity is a necessity, Instagram is all about pictures and imagery, and you’ll need to create videos to use YouTube. 3. Be Engaging, and Engaged. Social media is a two-way street, so keep in mind once you begin your journey, you’ll need to have someone at the wheel monitoring conversations. Every interaction with a donor should receive a response, even if it’s just to acknowledge thanks. Get even more involved in your community’s conversation by sharing and retweeting your influencers’ posts and links. Find companies and organizations you want to align with and join Facebook and LinkedIn groups and Google+ communities they are involved in. Try different approaches to see what works. If you see a particular day of the week, time, or type of post garners more response, continue in that direction. Pay attention to feedback you get from followers and adjust your posts to fit what inspires or engages them. Most social media platforms now include some type of free analytics that can be used to gauge response and measure effectiveness. Social media is all about the present. Provide real-time updates on the progress of your campaign and how far away you are from meeting your goals. Seeing a post that says there is less than a few hundred dollars to go could inspire someone to pull the trigger on donating to help cross that monumental mark. Use social media to thank donors and volunteers for their contribution and let them know specifically how their gift will be used. Let them see the real impact of their donation by breaking it down to show the results (i.e. “For each $50 that is donated, we can buy 5 pairs of shoes for children in need.”) Consider creating a thank you video using testimonials from those receiving the benefits of the campaign. Spotlight volunteers and donors to showcase their stories and why participating in your cause is an important part of their lives. Don’t forget to add a call to action in some of your social media posts asking your followers to take the next step. Chances are, they want to help share your story, but they might need a reminder such as “click here to donate now”, “share this”, “help spread the word”, or “get your tickets here”. 8. Turn your Network into an Army. All of your hard work to build a successful network of real-world volunteers, donors, and ambassadors can translate into a similar approach for fundraising efforts via social media. Invite followers to chime in with their ideas and testimonials. Encourage them to raise money or promote your campaign through their own channels. Contests are great ways to drive participation and expand your network of contacts. By asking people to share your campaign, you are increasing exposure since now their own friends and followers will become aware of your efforts. 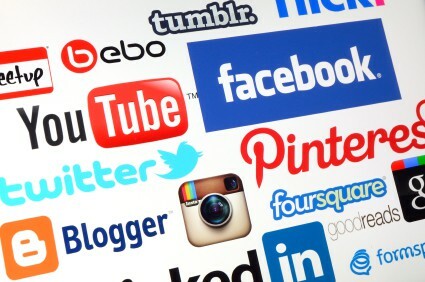 Social media can be used as a powerful tool for nonprofit fundraising. Remember to be conversational and not come on too strong. Rather than always asking for something from your followers, focus on creating a conversation around your campaign that people will want to share. Your supporters will get to know your organization better and form a connection, which will in turn, set your campaign apart from others. Did you know 28% of referred traffic to donation and fundraising pages is now coming from Facebook alone? 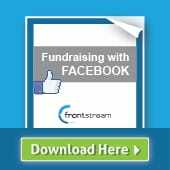 Download the Facebook Fundraising: Research You Can Use! whitepaper for more insights into your supporters' behavior on Facebook.